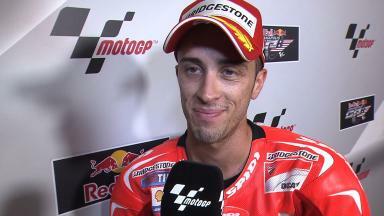 Andrea Dovizioso is in second place on the grid for the Red Bull Indianapolis Grand Prix, which is his best qualifying result since he was on pole at the Japanese GP in 2010. Using a new engine this weekend Dovizioso has secured his second front row start of the season after he qualified third at Le Mans. 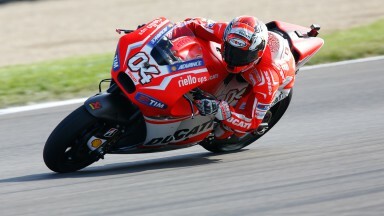 Dovizioso rode intelligently registering his best time (1’31.844) as he shadowed pole setter Marc Marquez around the modified 4.17km Indianapolis track. The Italian rider will aim for a third podium result of the season on Sunday, if he has the race pace to stay with the his rivals from the Repsol Honda and Movistar Yamaha MotoGP teams.